The slow cooker is definitely one of my most used pieces of kitchen equipment (unlike my Kitchenaid which I’ve only used twice) as it means that I can chuck some food items in it, switch it on and then leave it to get on with my day whether I’m in the house or out at work. Come dinner time when I’m hungry, I have a meal ready for me to eat with very little hassle. 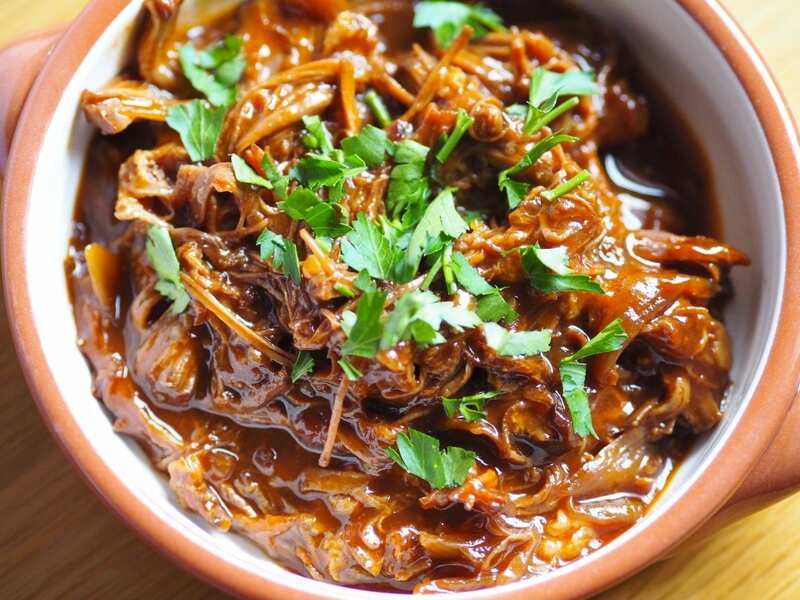 I have made soups, chillis, casseroles and also my festive favourite Cherry Cola Ham, this Slow Cooked BBQ Pulled Beef is a new addition to my slow cooker repertoire. 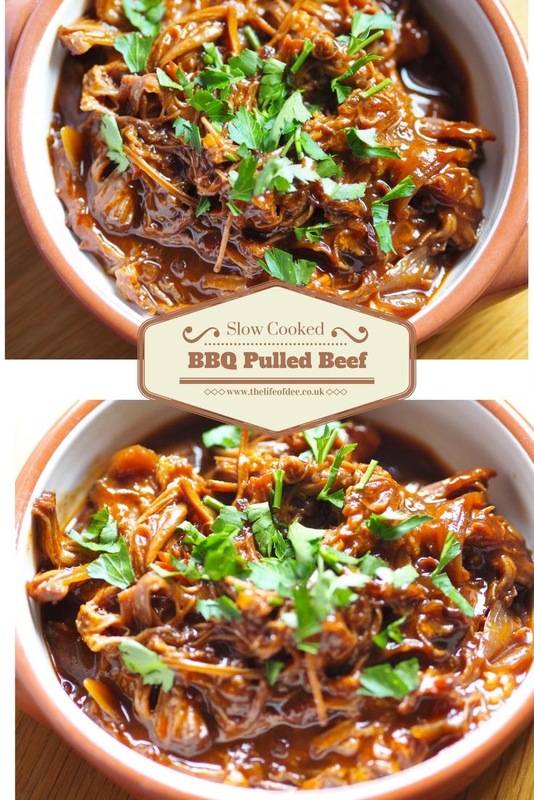 The Slow Cooked BBQ Pulled Beef is really easy to make and when you walk into the kitchen while it is cooking, the smell is amazing! 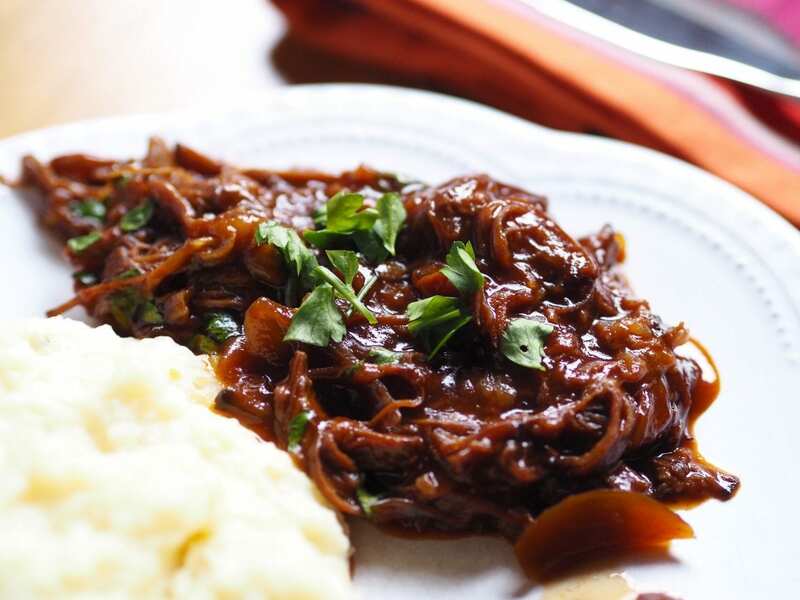 As it is slow cooked it is ideal for using cheaper cuts of meats like brisket. 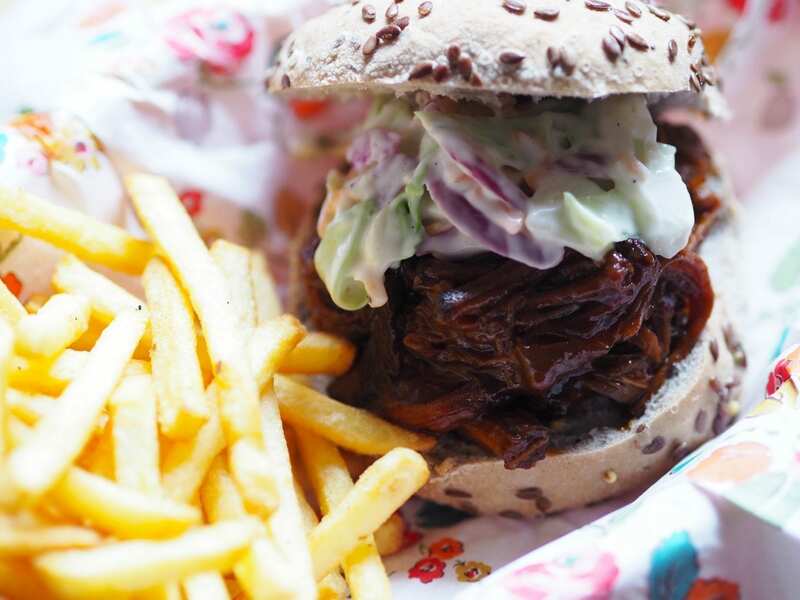 You can serve it with a side of potato wedges and coleslaw or even with tacos topped with homemade salsa and guacamole. In a jug add all of the remaining ingredients and mix well. Pour the sauce over the beef, place the lid on to the slow cooker and turn to cook on low. Do not remove the lid, not even to smell how lovely it is, as this interferes with the slow cooking process. When ready remove the lid and take out the beef and place it on a plate. 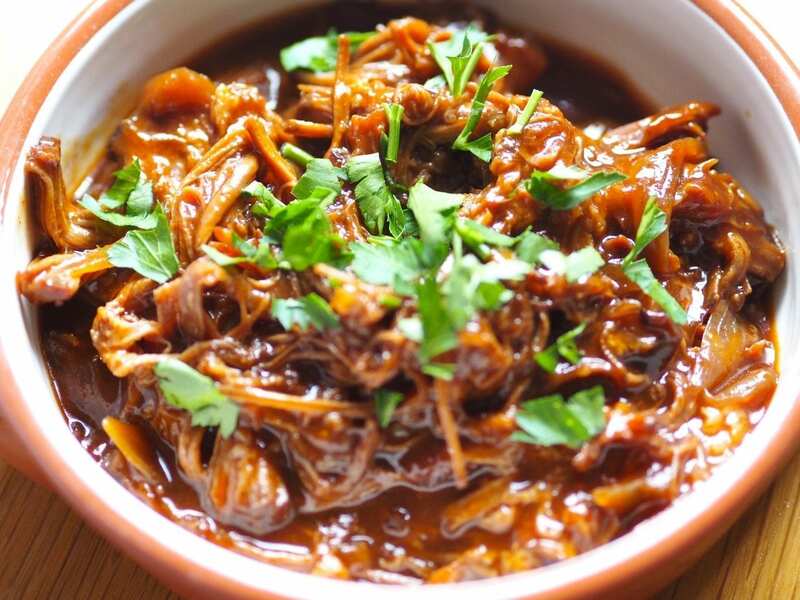 Using two forks shred the meat and then return it to the slow cooker so you can coat the meat in the sauce so it is completely coated. 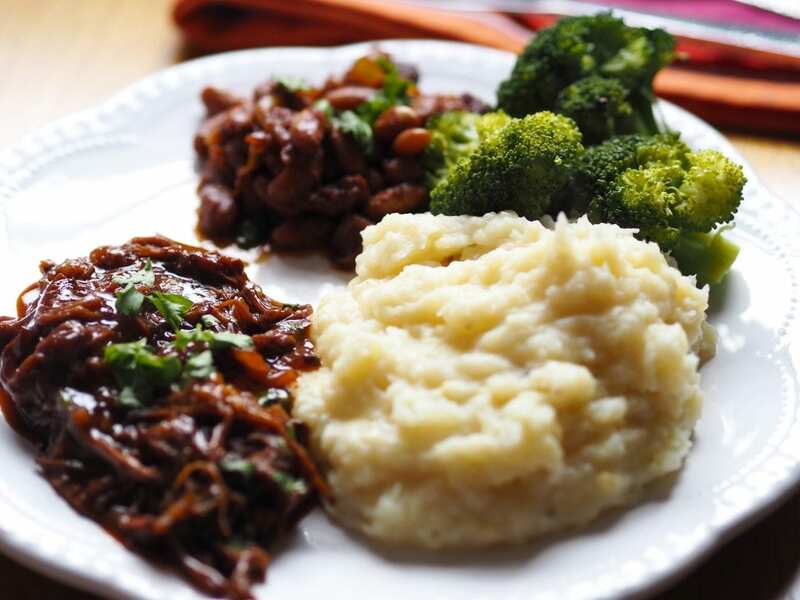 I served mine with cheesy mash, Boston baked beans and broccoli. 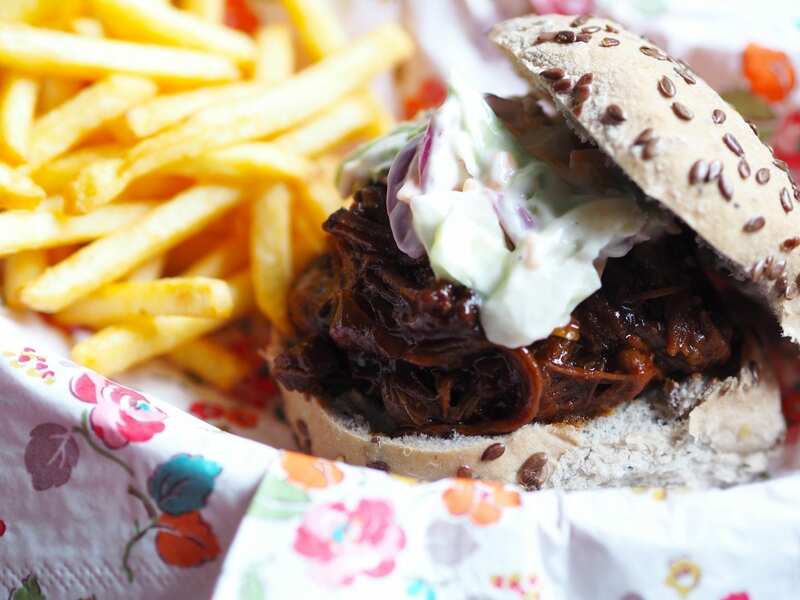 You could also serve it in a bun with French fries and homemade coleslaw (also very recommended). 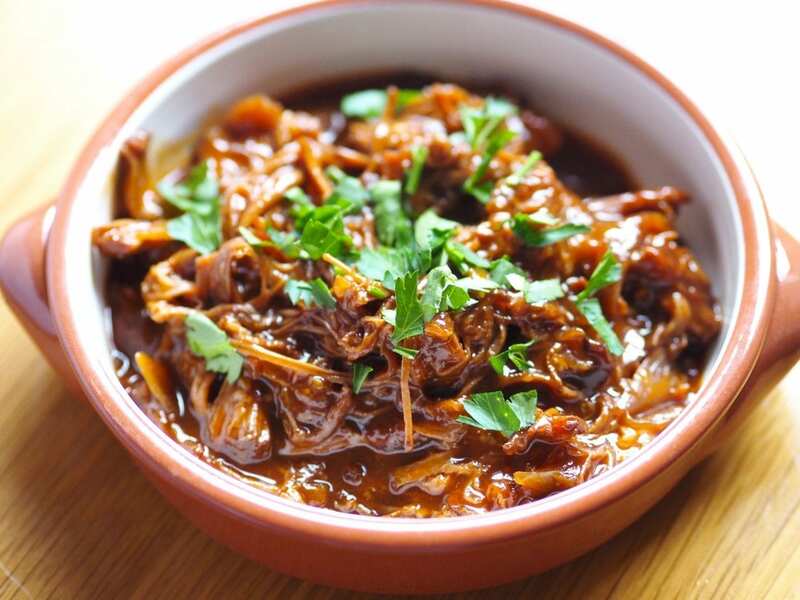 Do you have a slow cooker, what’s your favourite thing to cook in it? "What I Got In The Sales January 2016"